April 25, 2012 in "KAL"
1) knit any project in the world that uses more than one colourway of TFA yarn. That's it, that's all. The rest is up to you. If you feel like challenging yourself, try something complex or large scale. If you want to participate but don't think that you can commit to all over colourwork sweater, knit yourself a 2-colour striped scarf! Easy as pie. 2) cast on day is May 14th, cast off is June 17th, that's 5 full weeks to complete your project. The KAL will be hosted over in the TFA Group on Ravelry. Julie has kindly set us up with a KAL thread here, check it out for more details. To get you in a colourful state of mind I've come up with a few mood boards featuring some of the colourful projects I've knit in TFA. 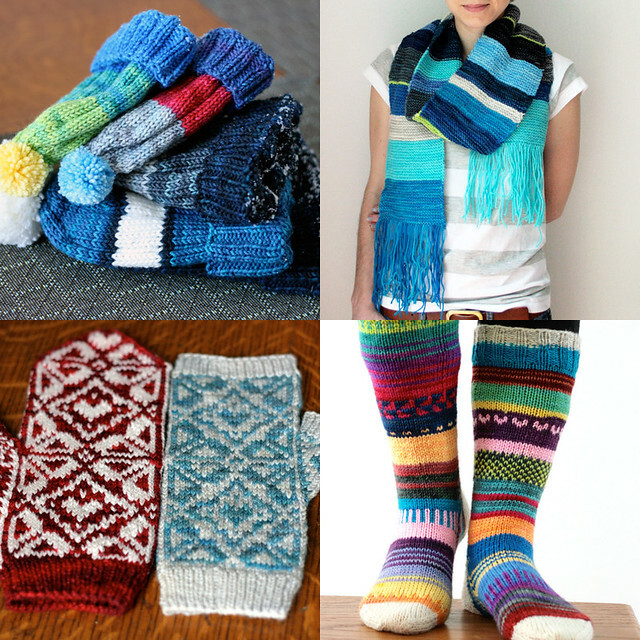 Clockwise from top left: Grammies Hats, Garter stitch scarf, Awesome Scrappy Socks, Adelia Mitts. 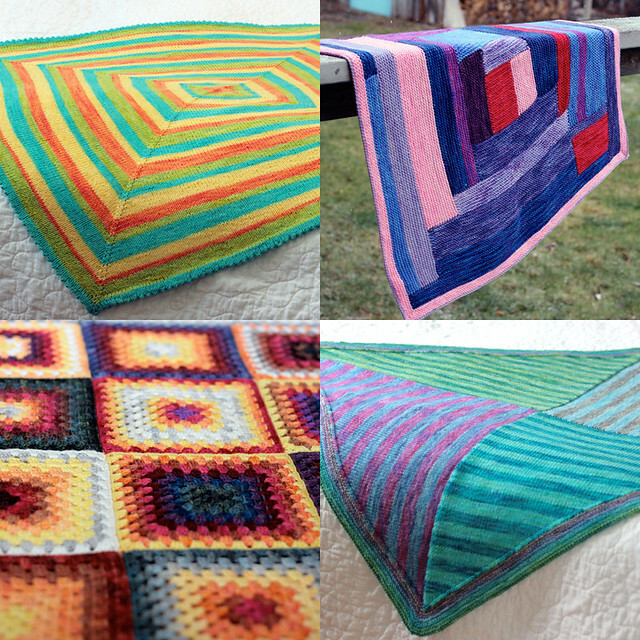 Clockwise from top left: Ceres Blanket (knit by mom mom! ), Log Cabin, Baby Shane Blanket, Granny Squares. 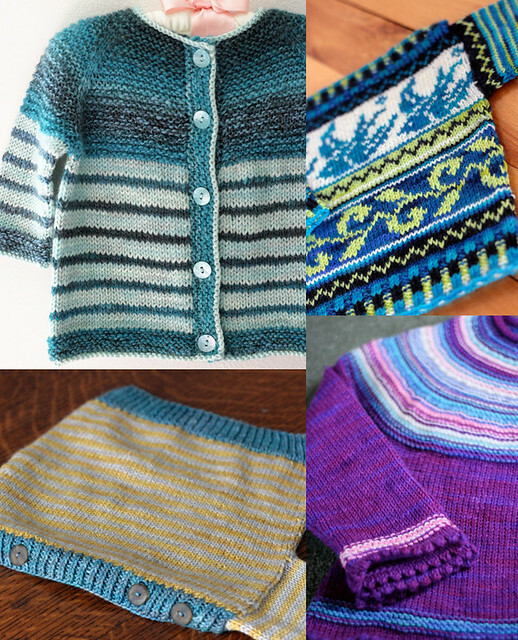 Clockwise from top left: Garter Yoke, Blank Canvas Baby Sweater, Playful Stripes, Striped Blank Canvas. 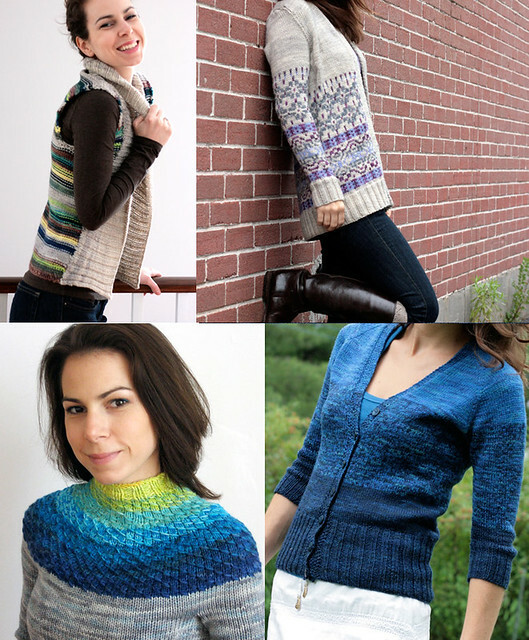 Clockwise from top left: Striped Honeytree Vest, Velvet Morning Caridgan, Ombre Cardigan, Dipped Infinity Sweater. Of course there are lots of other pattern/project options. I can't wait to see what you come up with!